Jackola shared Indy Pride’s event. 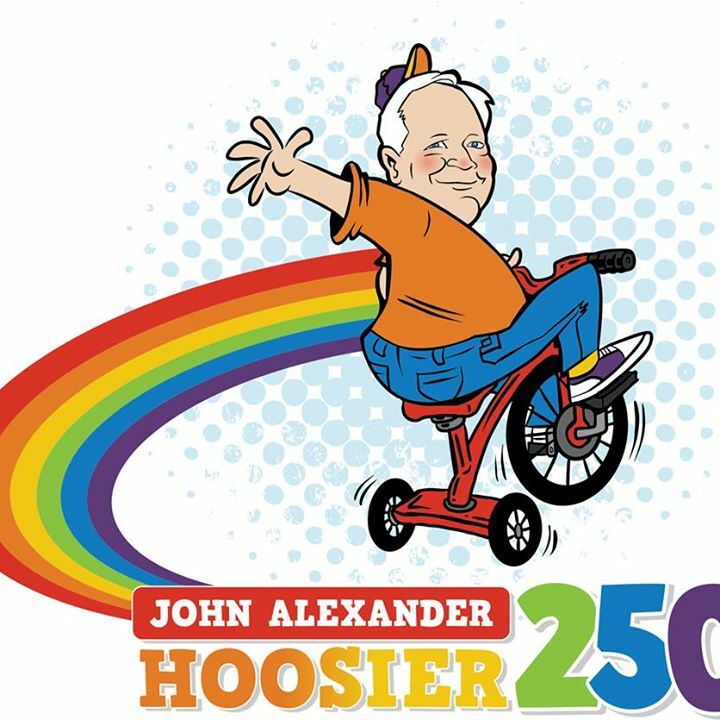 The John Alexander Hoosier 250 Tricycle Race returns, celebrating 21 years of family fun and jam-packed frivolity — all for a good cause! This year’s race, held on Sunday, May 22, 2016, will take place at a new location — on Park Avenue next to the @[205180145126:274:Metro Nightclub & Restaurant]. Returning this year will be live musical and comedic performances. This year’s entertainment will have a continued focus on local talent pulled from Indy’s LGBT community. As is tradition, Mr and Ms Circle City IN Pride will be on-site to wave the checkered flag for each race. Be sure to say “Hello” to our current reigning Mr & Ms Circle City IN Pride: Mr @[100005342460762:2048:Apollo Summers] and Ms @[100006344370923:2048:Siniya Spivey]! The event has grown from barely able to fill a downtown parking lot to one that closed down a portion of Mass Avenue for a day. Though held in mid-May, the Hoosier 250 Tricycle Race is considered by many to be the true kick-off event to Circle City IN Pride Week. • Sit Back and Cheer – Bring the entire family, a lawn chair, and your outside-voice and cheer on the teams! This event is one of the best ways to kick-off your summer! So be sure to join us on Sunday, May 22nd! RSVP here and stay on top of the latest announcements as it happens.